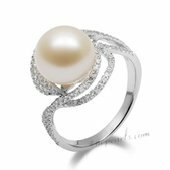 Mabe pearls are large, hemispherical cultured pearls that grow attached to the inside shells of oysters. Beautiful necklace. Better looking than the picture. Should ..